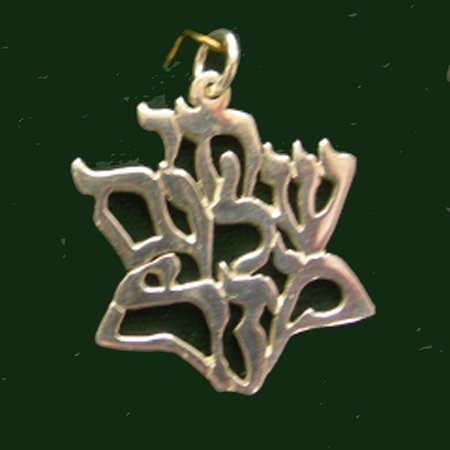 Religious Judaic Jewelry - This is a unique 14K Yellow Gold pendant that says these three words in Hebrew - Chai (life), Shalom (peace), Mazal (luck). This good luck charm is in the shape of a Jewish star and comes ready to hang on your chain. Chai, Shalom, Mazal - translated to Life, Peace, and Luck - in the shape of a Jewish star. 14K gold charm includes a 14K gold loop.